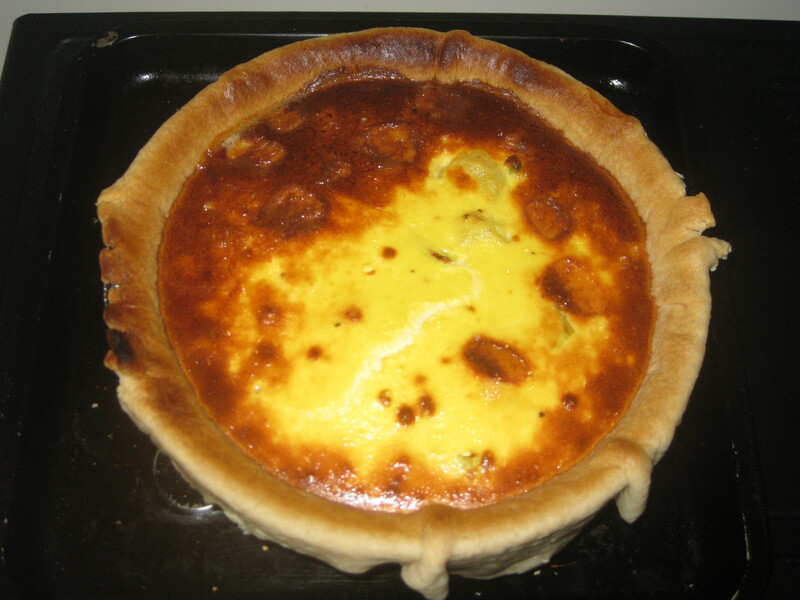 This is my all-time favourite quiche. It must be the potatoes. Baby new potatoes are things of great beauty. 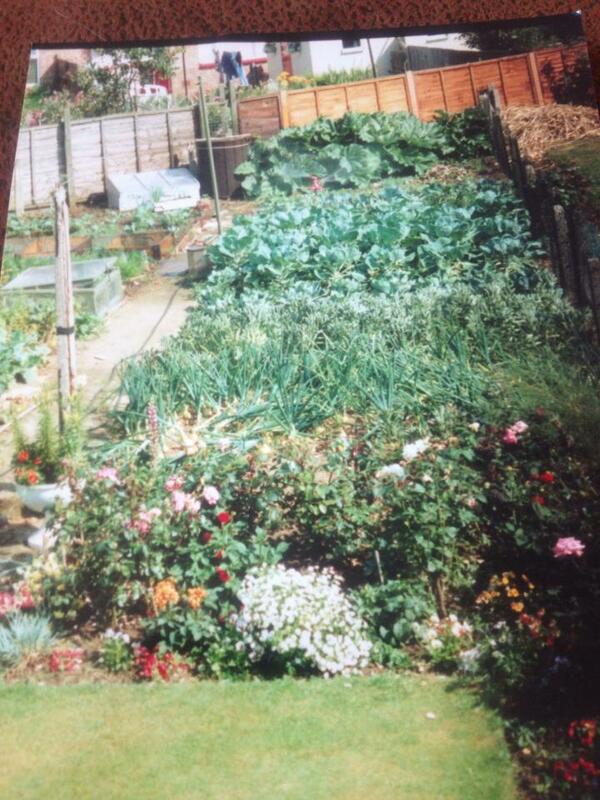 My grandad was a keen gardener who used to grow all his own veg. 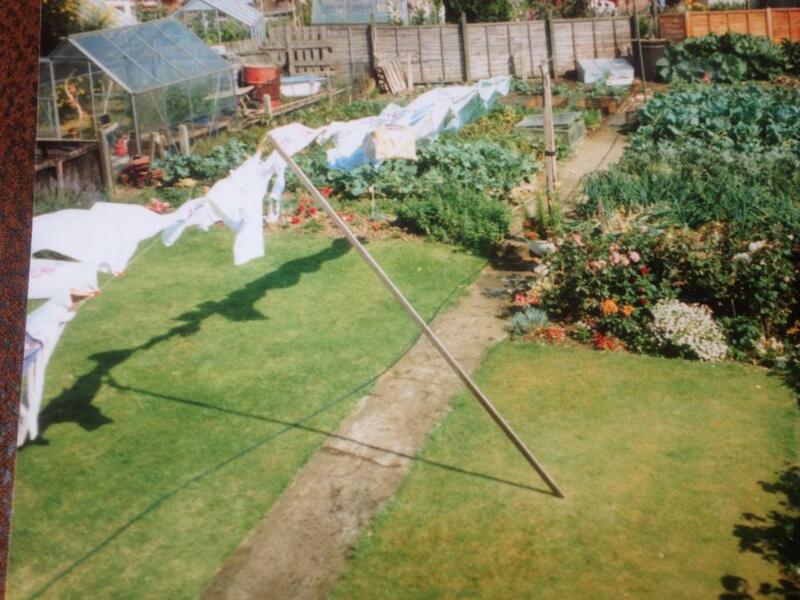 When we went to his house for Sunday dinner he would go rooting in the garden first to find some new potatoes for my grandma to cook, and he would always set aside the tiniest little baby ones for me. I sometimes treat myself to a bowlful of new potatoes with butter for a meal and always think of how much better they tasted freshly dug up from Grandad’s garden. 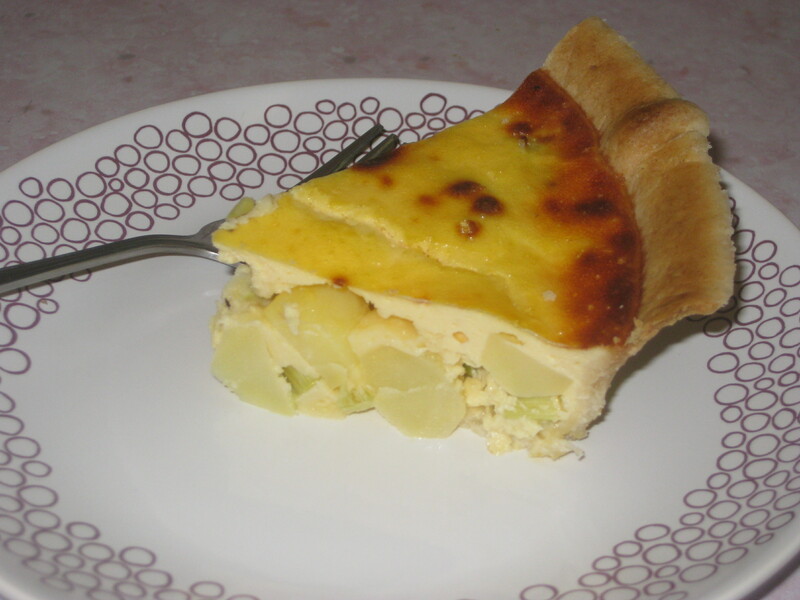 And potatoes in quiche are a definite winner too! 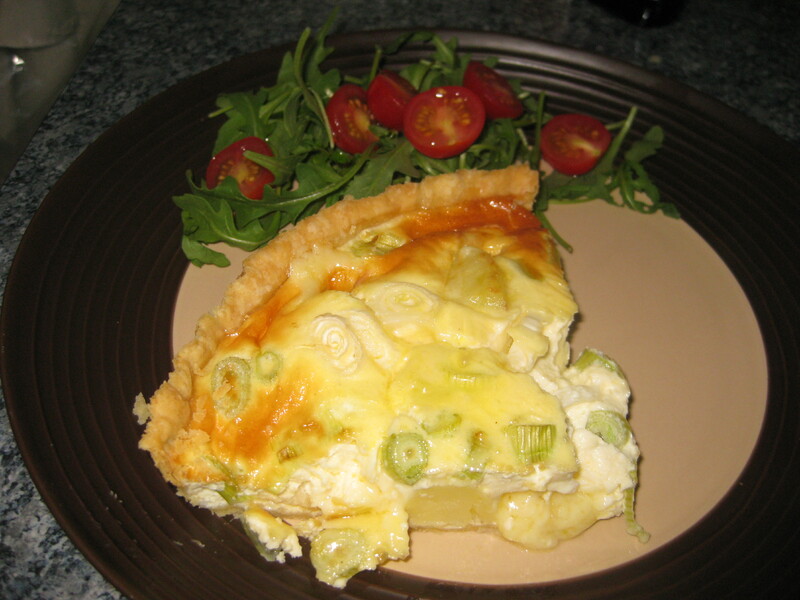 Not to mention those splodges of oozing cheddar. Divine! 1. 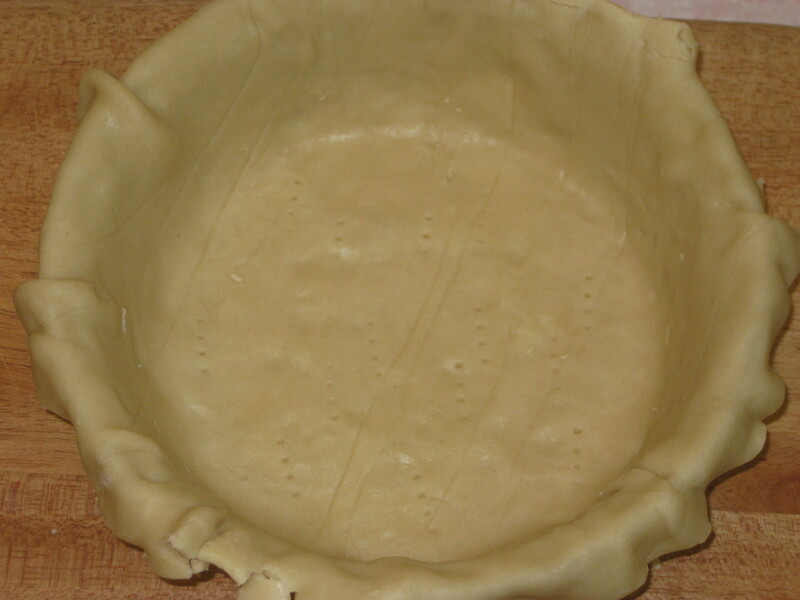 Roll out the pastry and use it to line a 23cm flan dish. 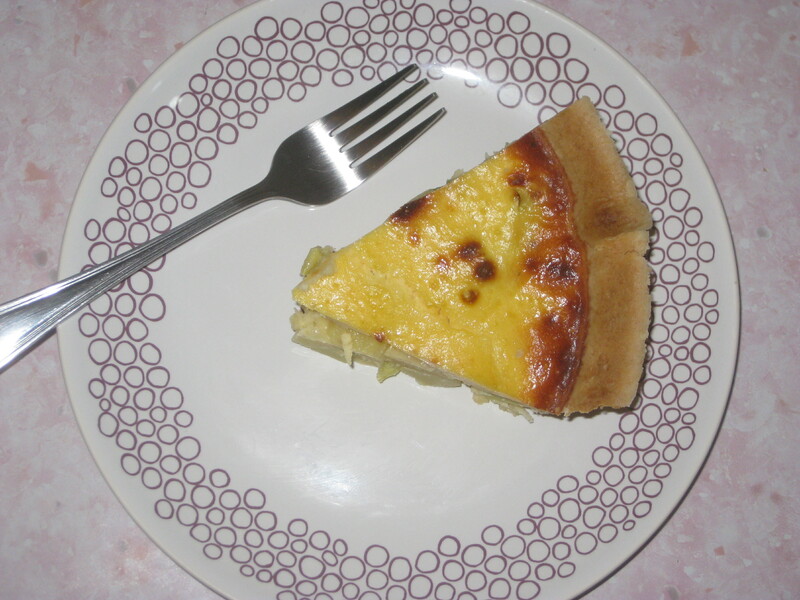 Prick the base with a fork and leave it to chill in the fridge for about half an hour. 2. 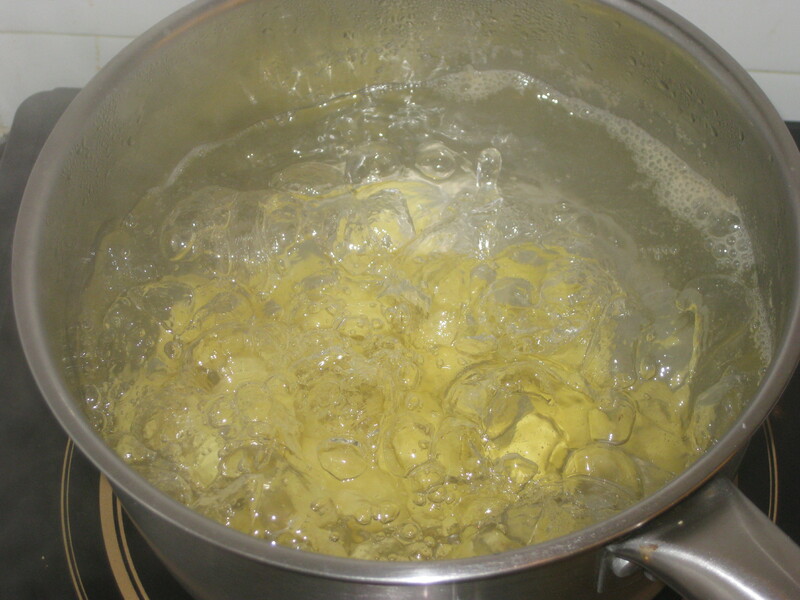 Meanwhile, peel the new potatoes and cook them in a pan of boiling water. 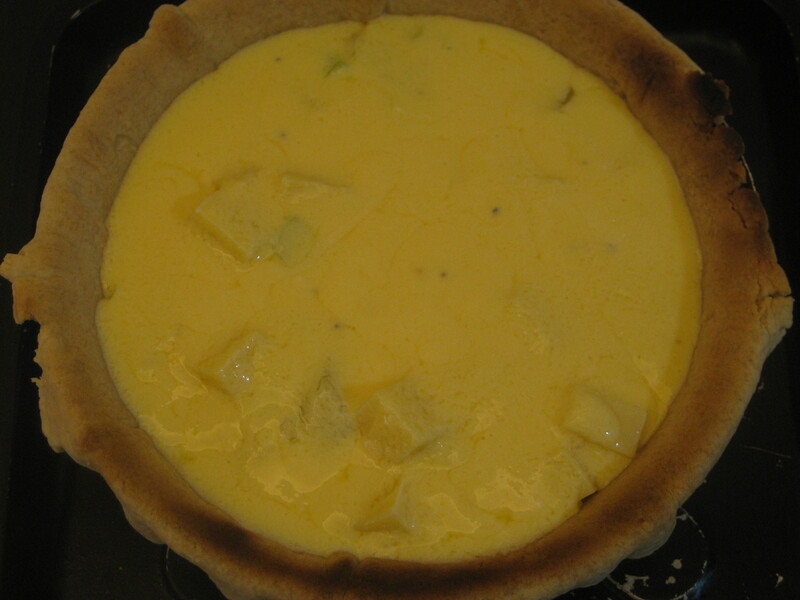 Preheat the oven to 180C. 3. 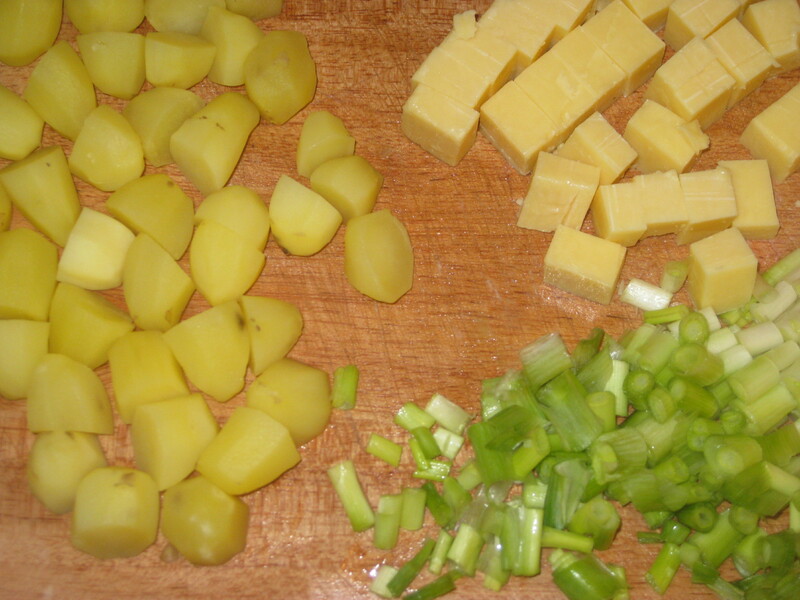 Halve or quarter the cooked potatoes, and prepare the other filling ingredients. 4. 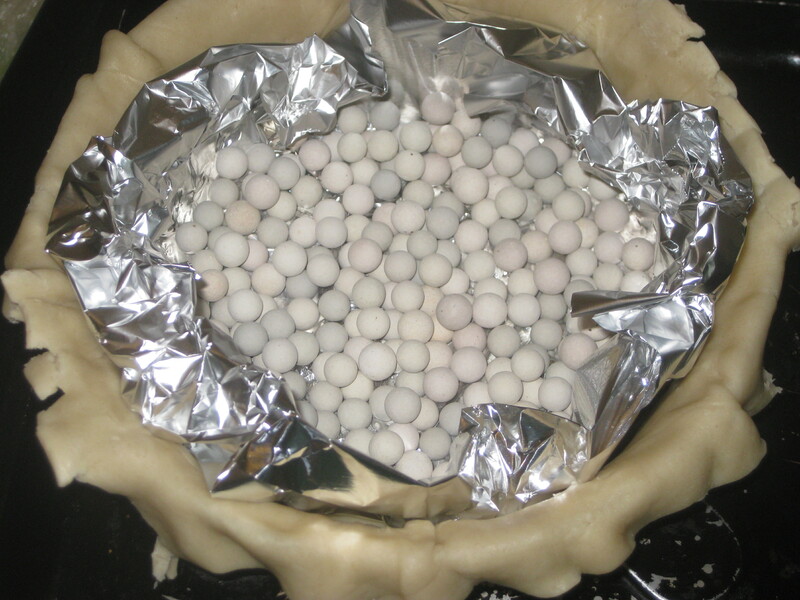 Remove the pastry case from the fridge, line with foil and fill with baking beans. 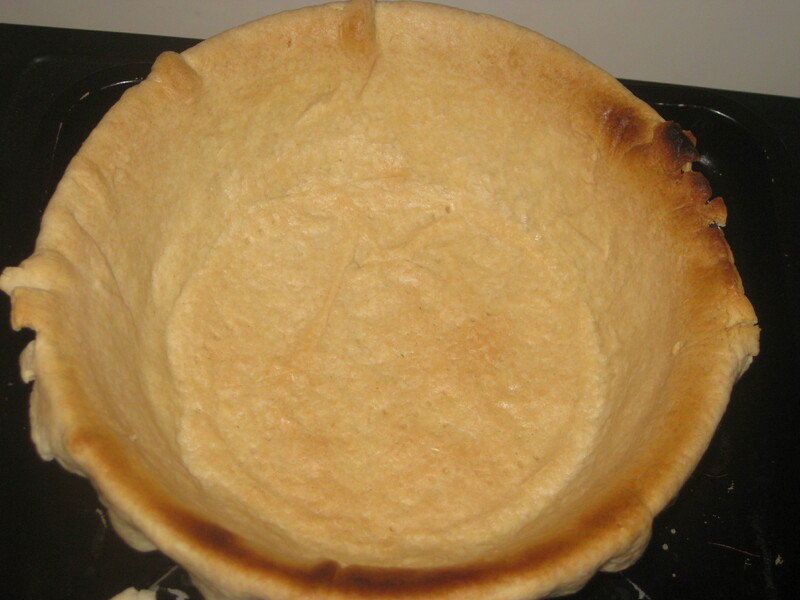 Bake blind for 15-20 minutes. 5. Remove the foil and beans, and return to the oven for a further 5-10 minutes. 6. 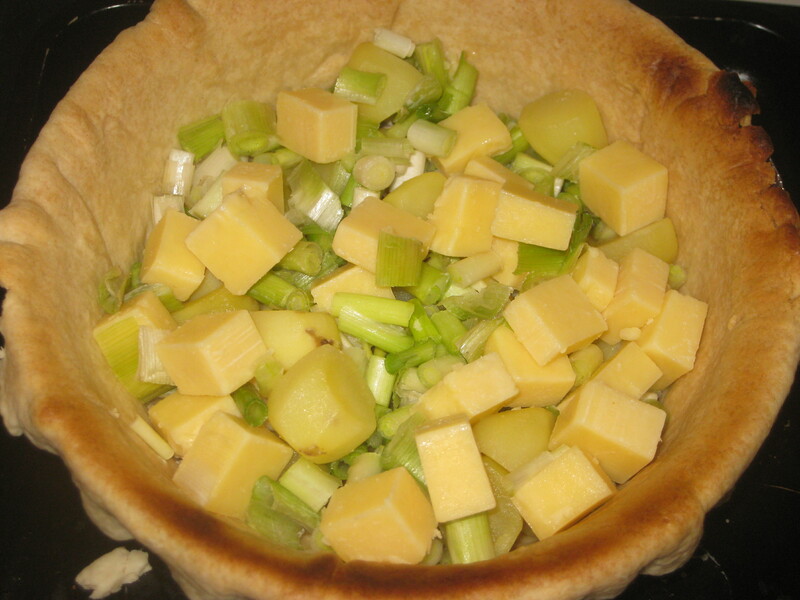 Scatter the potato, cheese and spring onions into the pastry case. 7. 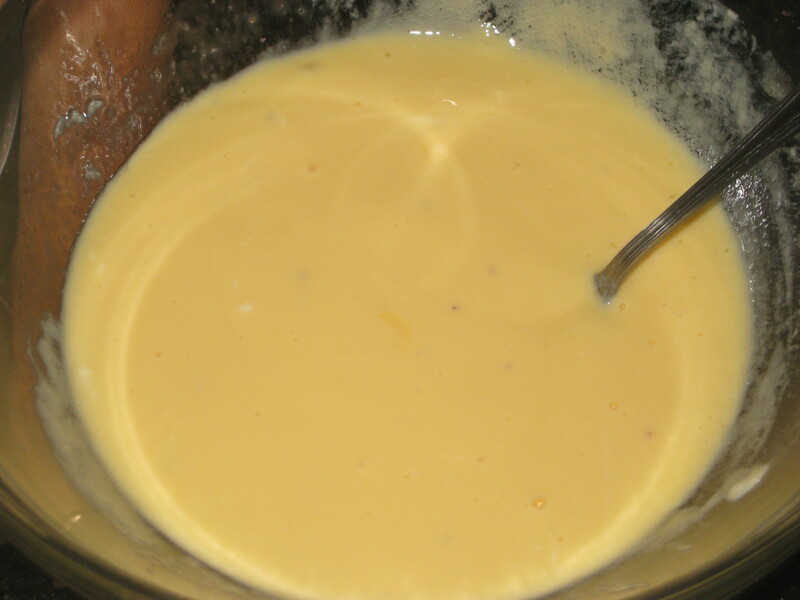 In a bowl, beat together the eggs, yoghurt and seasoning until smooth and pale yellow. 8. 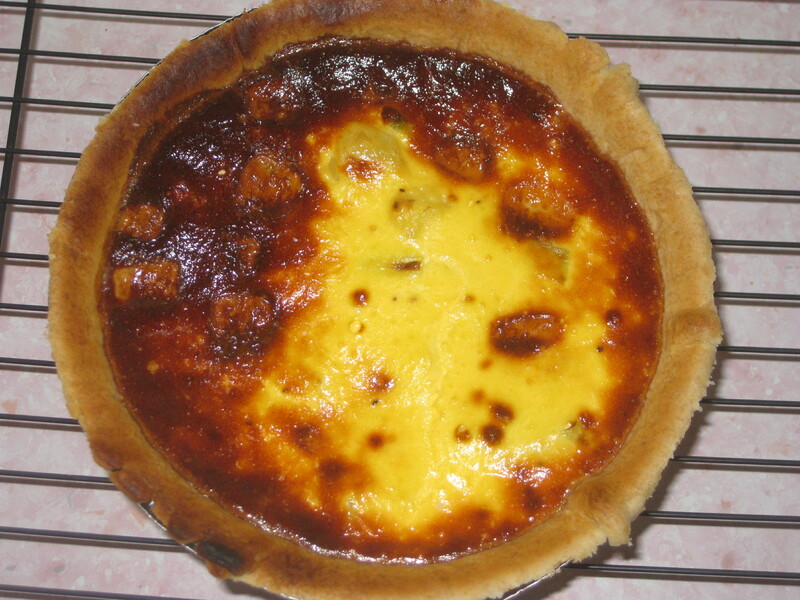 Pour the eggy mixture into the pastry case. 10. Stand on a wire rack to cool, then turn out and serve. 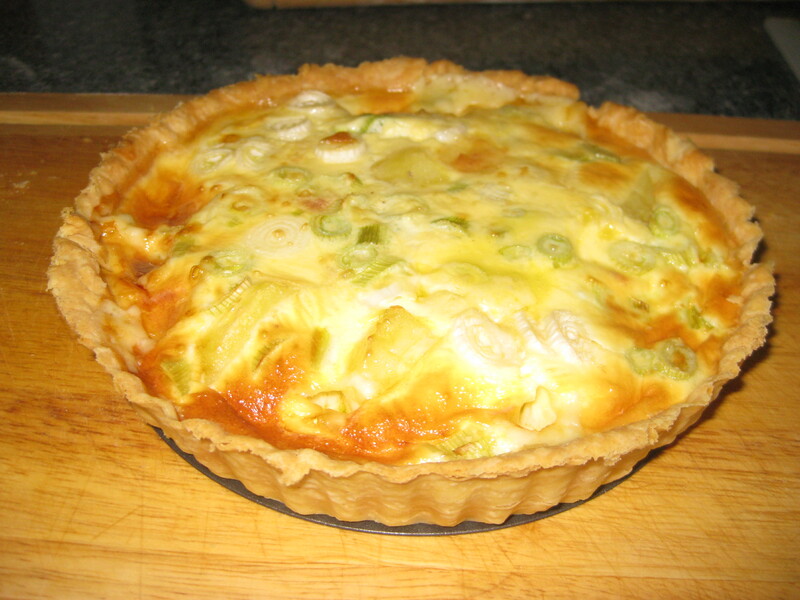 This entry was posted in Vegetarian Recipes and tagged new potato spring onion and cheddar quiche, picnic food, quiche, vegetarian picnic, vegetarian quiche. Bookmark the permalink.